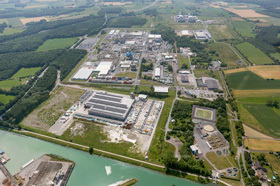 DuPont Performance Materials says that it is investing in Zytel HTN PPA polymer capacity at its Uentrop facility in Hamm, Germany. This will be the first Zytel HTN polymer production facility in Europe. Construction is already under way and the new plant will begin production in the summer of 2016. The increase in capacity is needed to meet the growing global demand for the material in automotive, electrical and consumer electronics markets, says the firm. 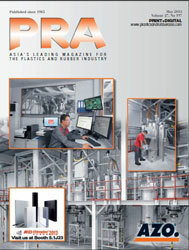 In 2015, the company also announced a 10% capacity increase for Zytel HTN polymer at its US facility in Richmond, Virginia, in addition to a 20% capacity increase for Zytel PA 66 and PA 6 compounds at the Uentrop site, said Richard Mayo, Global Business Director for the Nylon and Polyester businesses in DuPont Performance Materials. “Coupled with industry leading application development capabilities, HTN PPA and other innovative products in the Performance Materials portfolio help design engineers find ingenious ways to replace metals with lightweight materials in a variety of industries,” added Mayo. DuPont introduced Zytel HTN in 1994 to cost effectively bridge the performance gap between conventional engineering resins and high-end speciality polymers. 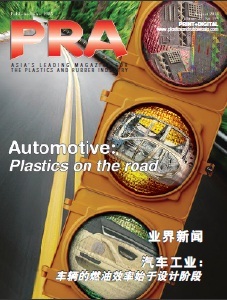 The PPA grades are said to retain stiffness, strength and mechanical properties despite exposure to high temperatures, chemicals and moisture, making them ideal for automotive under-the-hood components and systems, connectors and bushings. In consumer electronics, the polyamides enable designers to create lighter and thinner products when used in the design of mobile phones, tablets and other handheld devices. DuPont says it owns and operates world-scale production assets for Zytel HTN and operates compounding sites in all three regions of the world to ensure local supply wherever customers are located.